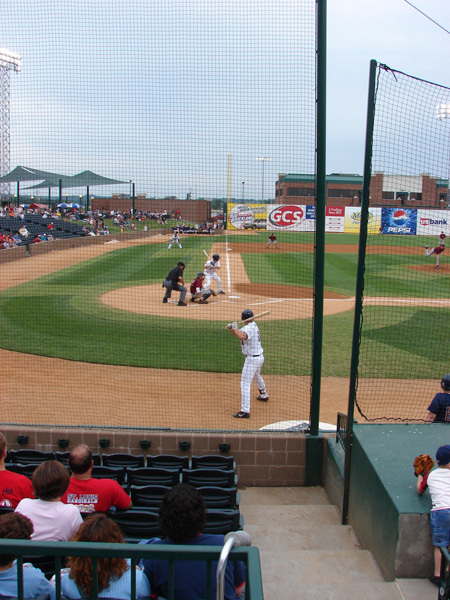 The Gateway Grizzlies, a Frontier League Independent team, play at GCS (Granite City Steel) Ballpark, which was built in 2002, seating 5,500. 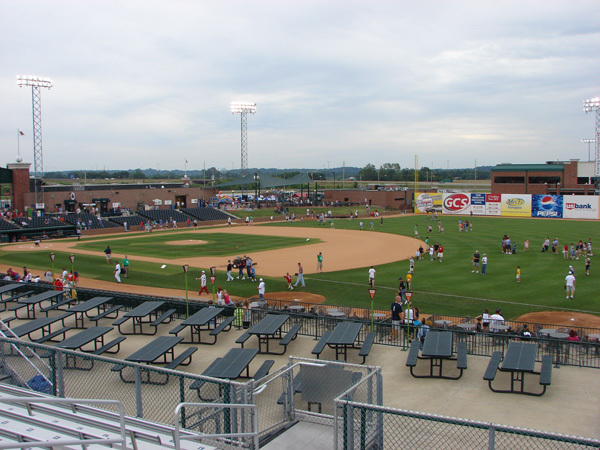 All the seating near the field are seats, down the first baseline are bleachers without backs set behind a large picnic table area., and down the third baseline and in right field is grass seating. 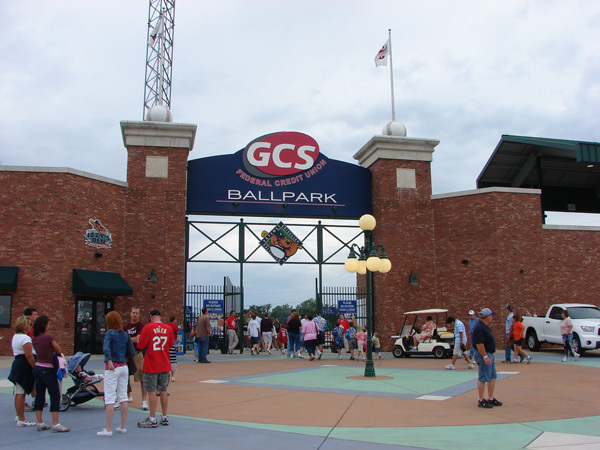 The Grizzlies were playing the Evansville Otters and won a close game 3-2. 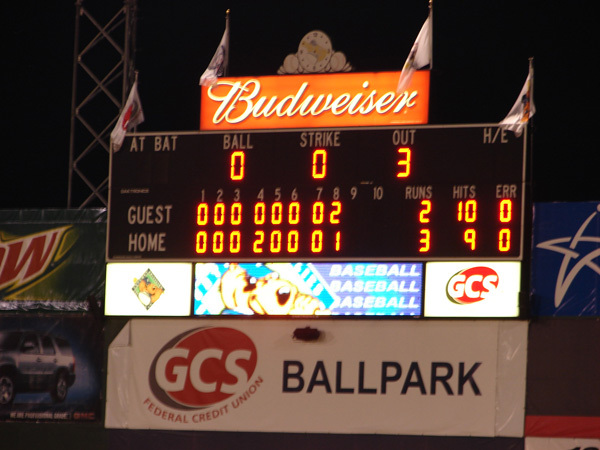 The box score was Otters R-2, H-10, E-0 and Grizzlies R-3, H-9, E-0. 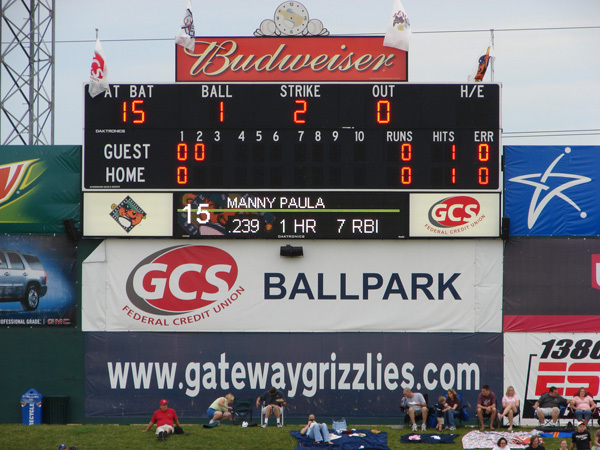 It was a shut-out for the Grizzlies until the 8th inning when the Otters tied the game at 2. 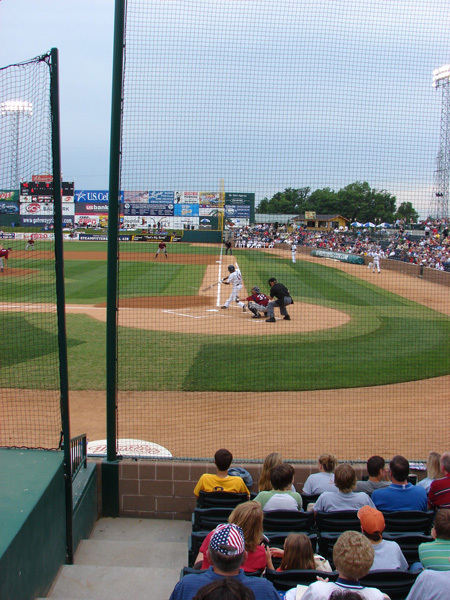 The Grizzlies scored the winning run in the bottom of the 8th. The field lines are RF-301', RC-342', CF-385', LC-345', LF-317'. 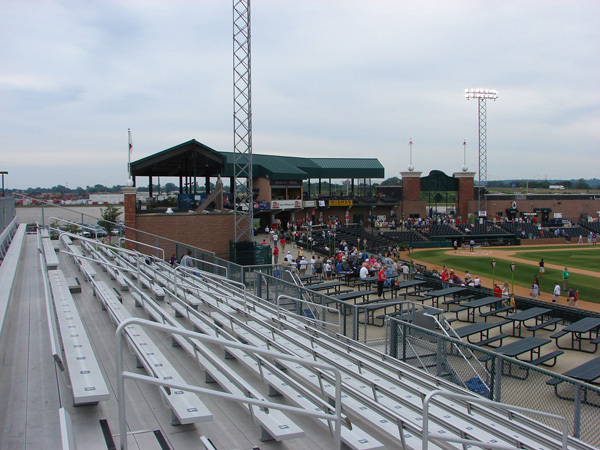 The suite sections above the concession area behind home plate are open to the air, but roof covered. 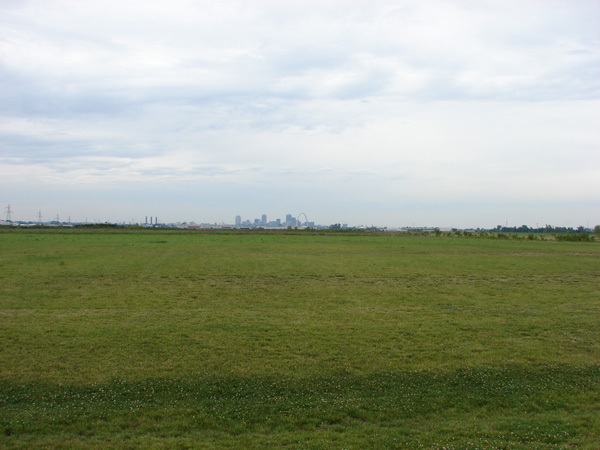 When you look west you can see the skyline of St. Louis and the Gateway Arch. 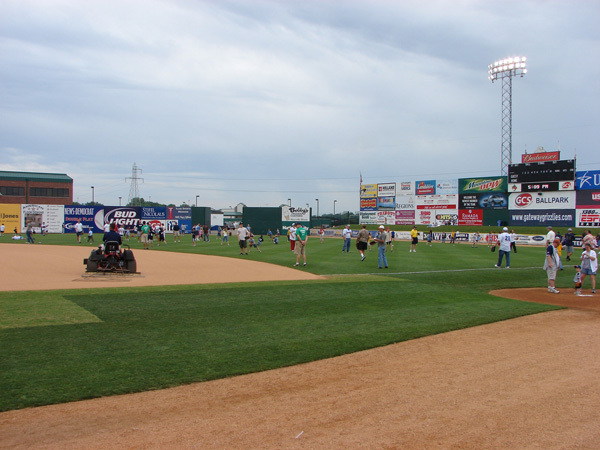 Before the game there was a Play Catch with Dad event in the outfield. 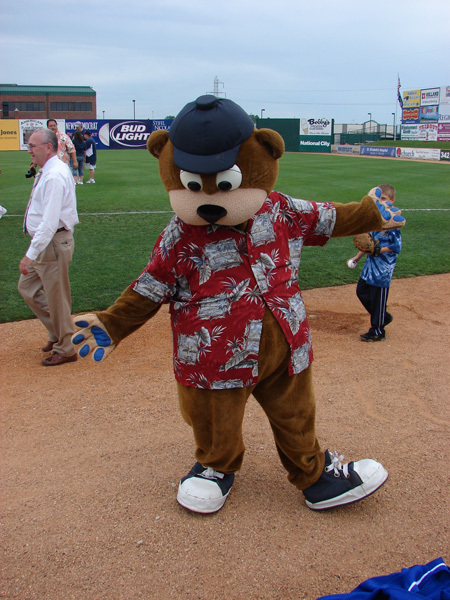 Izzy is the mascot. 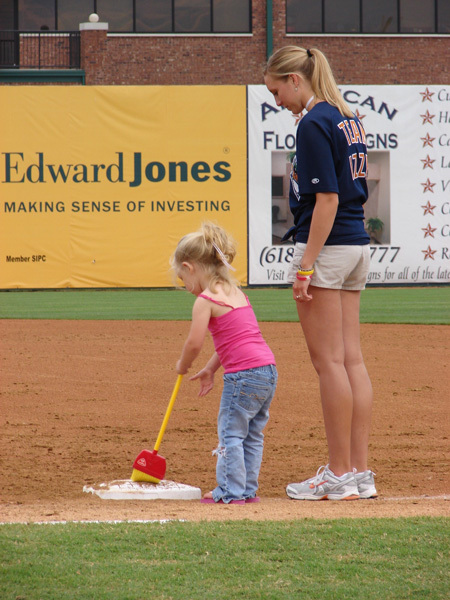 A between inning activity has two young children sweeping the bases. 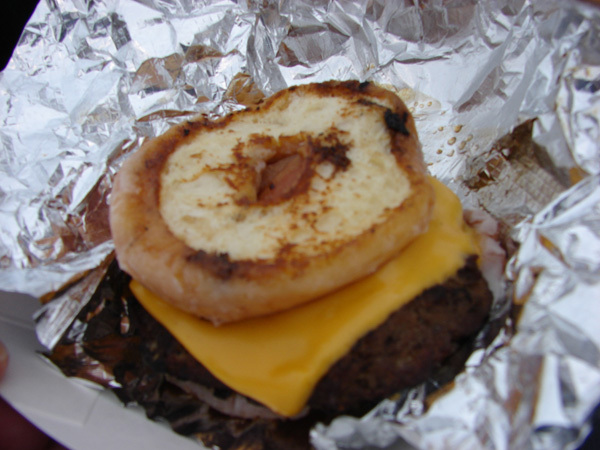 The last four years the team has promoted a special food item, shown is last year's featured item--a Krispy Creme Hamburger, mmm Good. 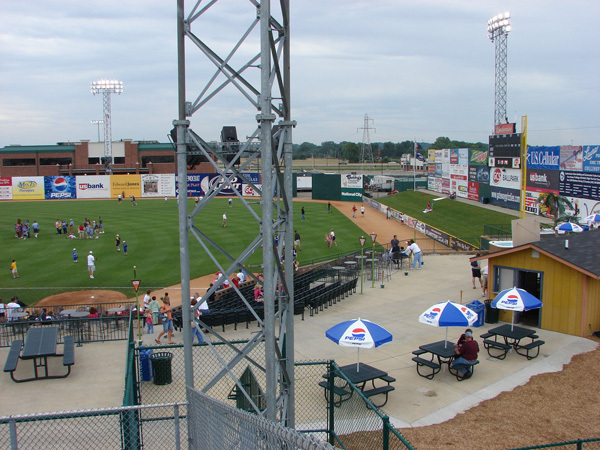 In previous years it was Baseball's Best Hotdog and the Swiss Brat. 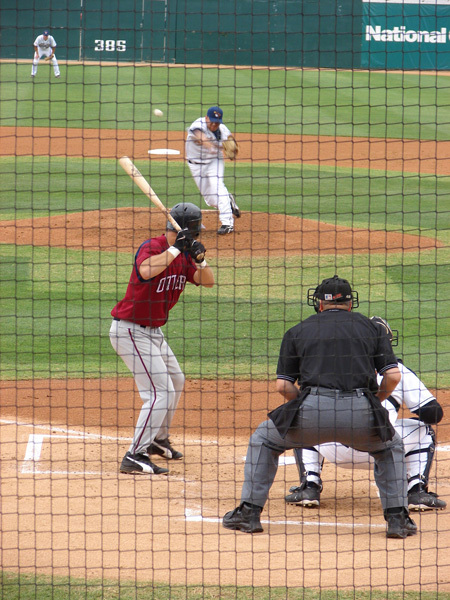 This year it is Baseball's Best Slider. Look at the Food Costs section for what is in each item. 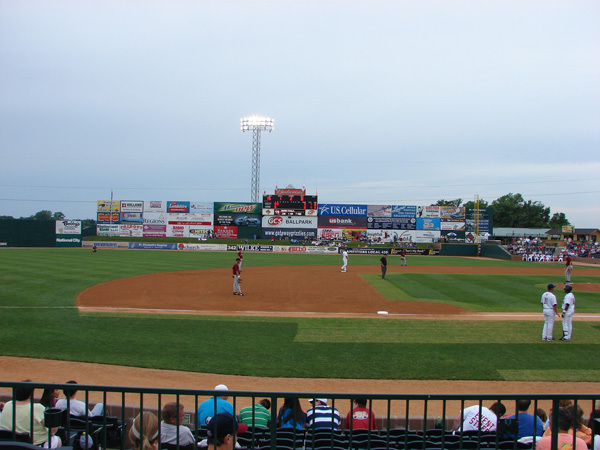 Attendance was 3,862. We would like to thank Jevon Heany, Director of Ticket Operations, for the two Grizzly caps, two t-shirts, and two drink bottles that he gave us. 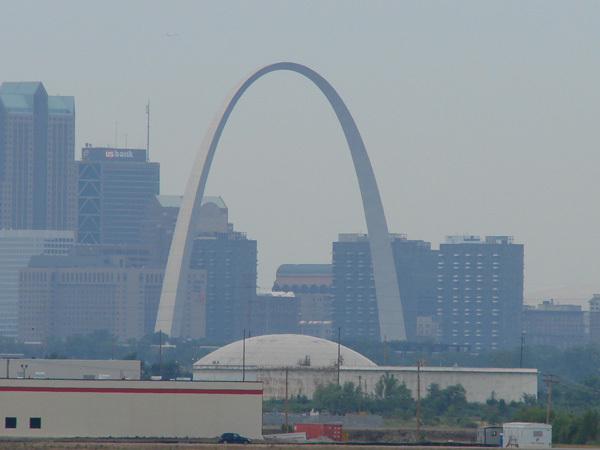 Sauget, IL is east across the Mississippi River from St. Louis, MO. 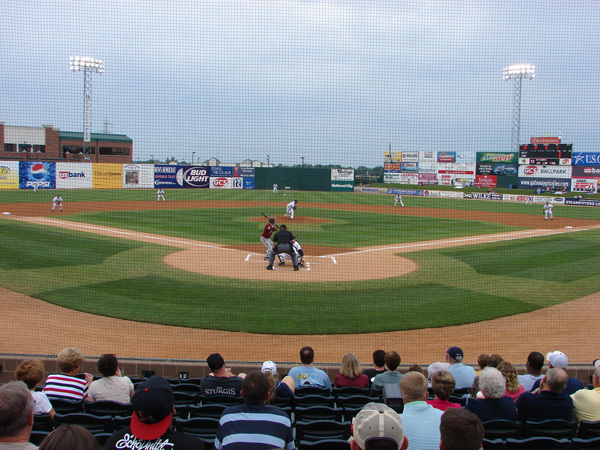 Many attractions in St. Louis.